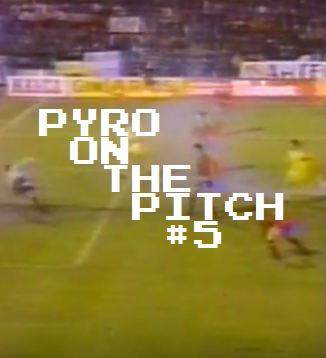 In the previous episode of Pyro On The Pitch, we went all “Pyro On The Print” with a special Shelbourne FC fanzine-exclusive to celebrate the 10th edition of the series, as well as our 50th article overall (including the Cold War Classic series produced in conjunction with Museum of Jerseys.com). You can see a preview and some of the pictures used here in the corresponding blog post, and perhaps in the future we will upload the post in full as a special treat. MAYBE. 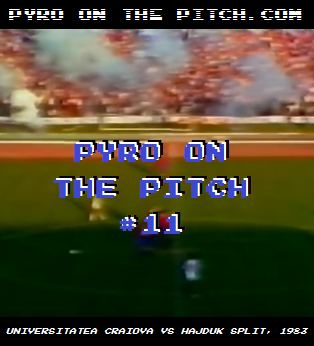 But so as not to deprive you fine folks who aren’t lucky enough to frequent Tolka Park – and especially considering it’s been quite a while since Pryo On The Pitch #9 – we are rushing out a second consecutive episode in an unprecedented move not seen since the early days of the site when it was our only feature (a simpler time). 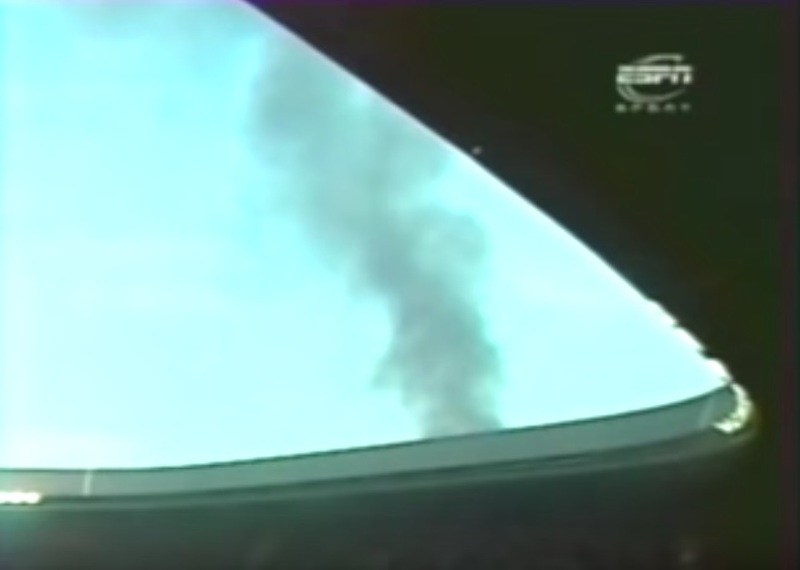 And as one of our Cold War Classic posts linking to the full articles on Museum of Jerseys.com contained two instead of one, this is in fact the actual 50th post to appear on PyroOnThePitch.com, so it is still a sort of special occasion (not that any of this matters in the least). 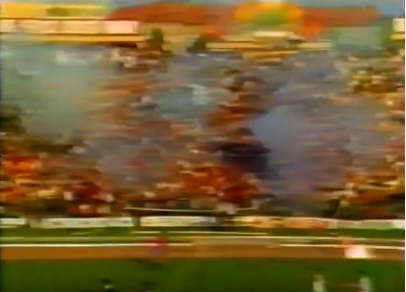 Today’s featured game takes us to Romania for the first time, having already seen hints of the country’s pedigree through the national side’s ability to casually thrive in the face of pyro on the pitch away from home back in episode #5. 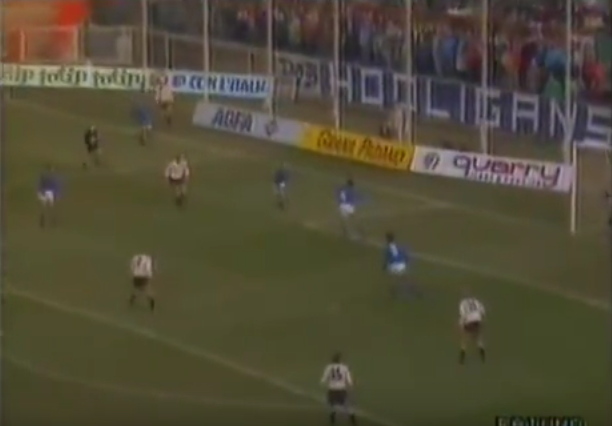 In the early ’80s, Clubul Sportiv Universitatea Craiova were one of Romania’s top sides. 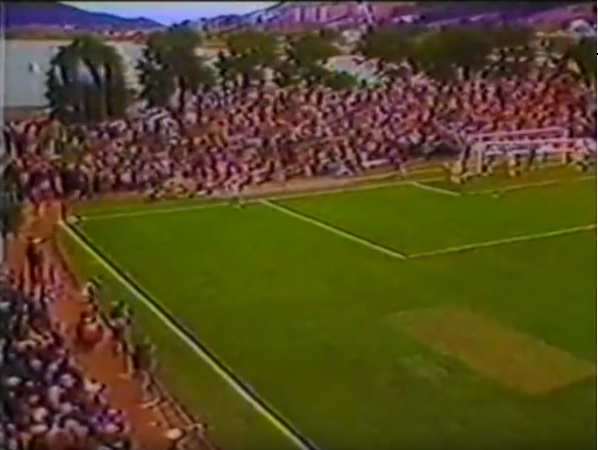 The club was originally founded in 1948 following an initiative by a group of students and professors from city’s first university-level institution, and upon dissolution of the area’s previous club – FC Craivoa – the team were quickly entered into the national league. 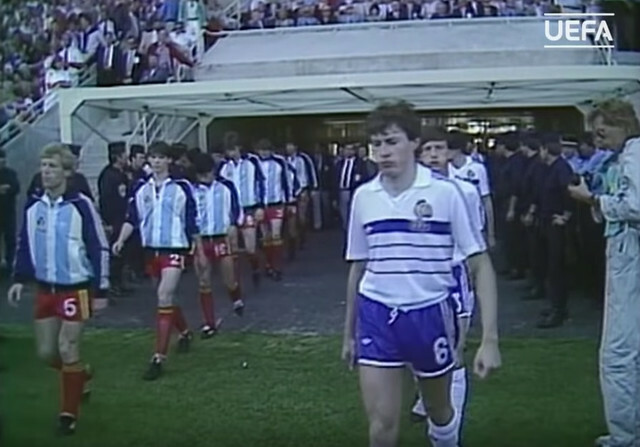 Demonstrating the profound difference in which post-War communist Romanian football was run compared to that of a modern league, the entry of the team was coordination by the Ministry of Public Education and the National Union of Students under the mouthful team name “Uniunea Națională a Studenților din România Craiova”. 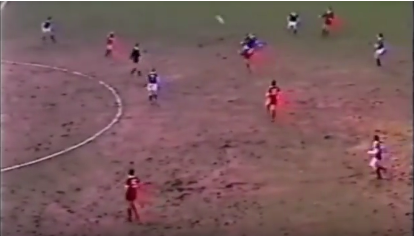 The new club proved popular among locals and those in the surrounding area, and after several name changes “CS Universitatea Craiova” was settled on in 1966. 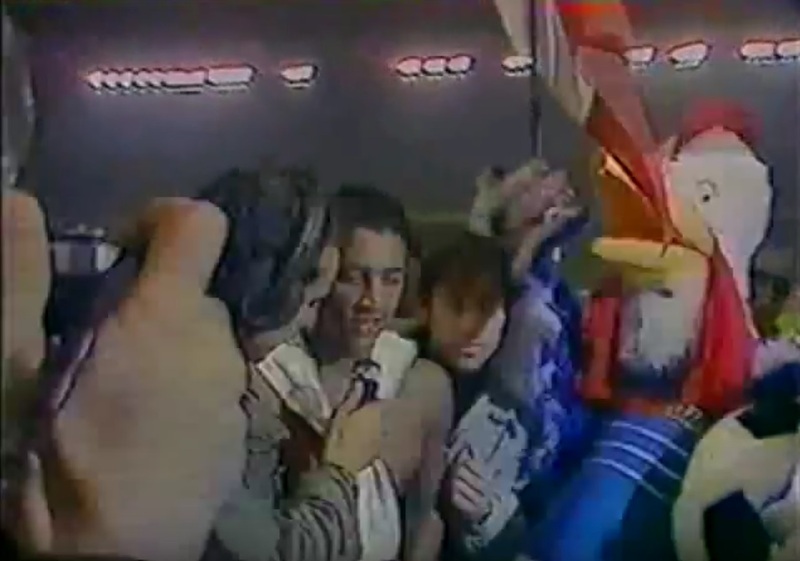 The following decade saw title challenges for the first time, with a 2nd place finish on goal difference to Dinamo București in the 72/73 season. But this moral victory was important for resulting in the creation of one of the greatest club nicknames in football history, and one that couldn’t have been more fitting for the decade: “The Champions of a Great Love”. 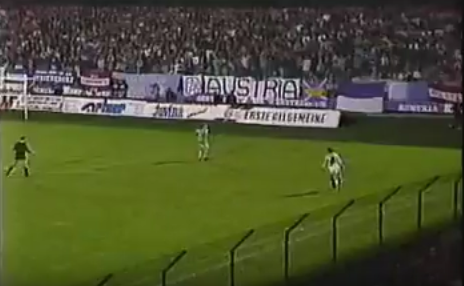 Coined by poet and supporter Adrian Păunescu, the name indicates Craiova’s status as a people’s champion in the face of the state-supported Dinamo side who dominated the league for much of the 20th century. 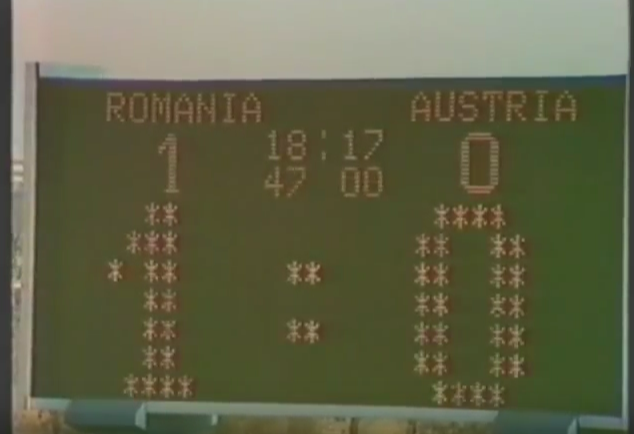 A real league victory did indeed come the following year, cementing the Champions of a Great Love as champions of Romania as well. 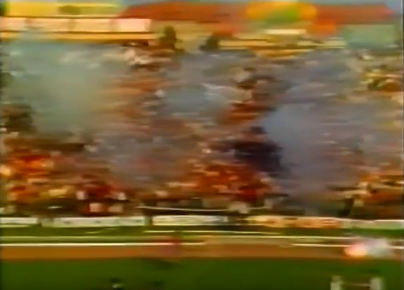 Classic, grainy Iron Curtain footage of Craiova supporters celebrating the 73/74 Romanian league title win. 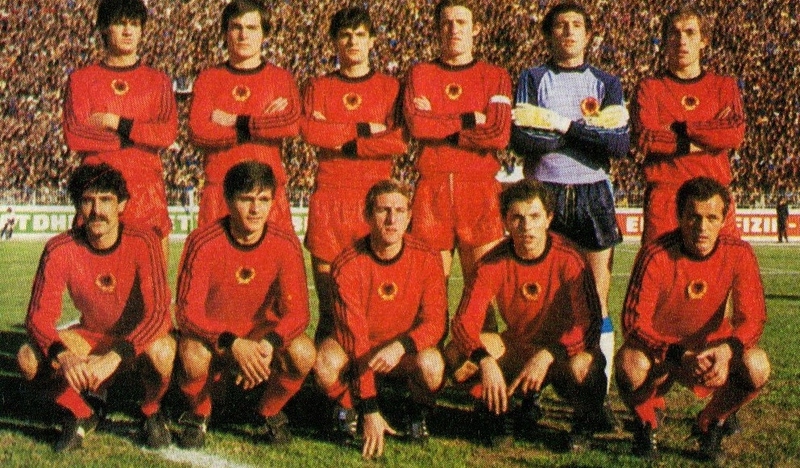 The 73/74 season was also notable for the club’s first continental involvement, with an impressive debut victory against Fiorentina in the 1st round of the UEFA Cup. 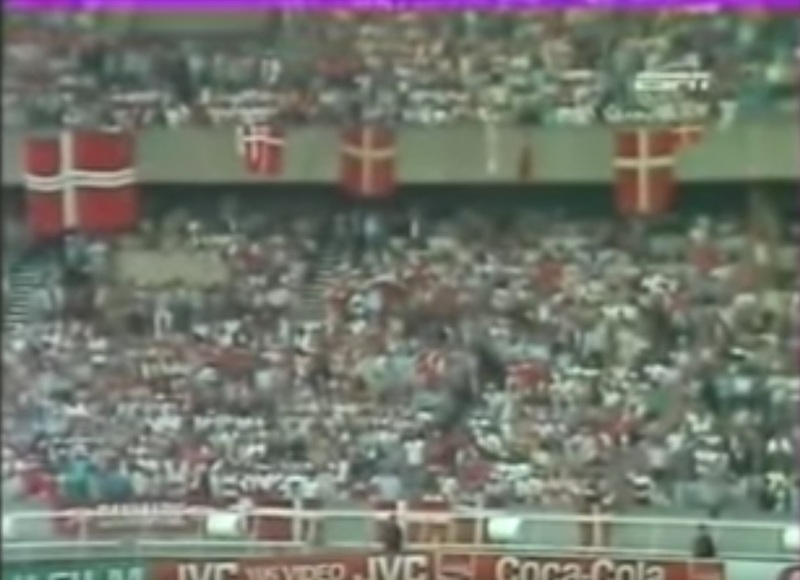 Domestic cup wins in ’77 and ’78 kept the team in Europe before a return to league success saw back-to-back championships in 79/80 and 80/81, the latter of which was a league and cup double. This golden age demanded it’s own snazzy new moniker, totally apt for the dynamic ’80s: Craiova Maxima (“The Maximum Craiova”). 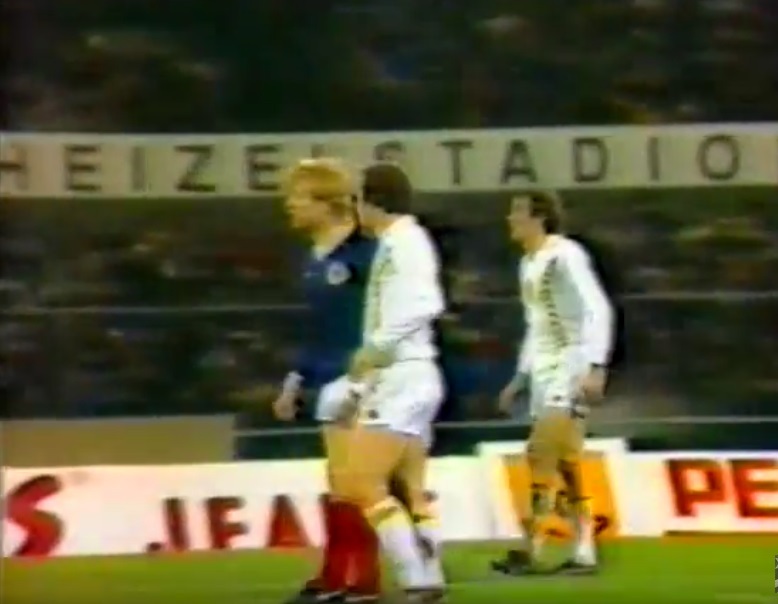 The league title brought a return to the European Cup, with the 80/81 edition seeing the visit of the club’s most distinguished foreign opposition to date: Internazionale. 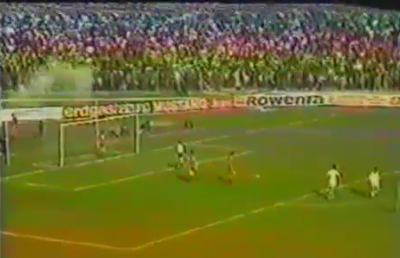 In a game that brought 35,000 supporters to the Stadionul Central, Craiova admirably held the Italians to a 1-1 draw. 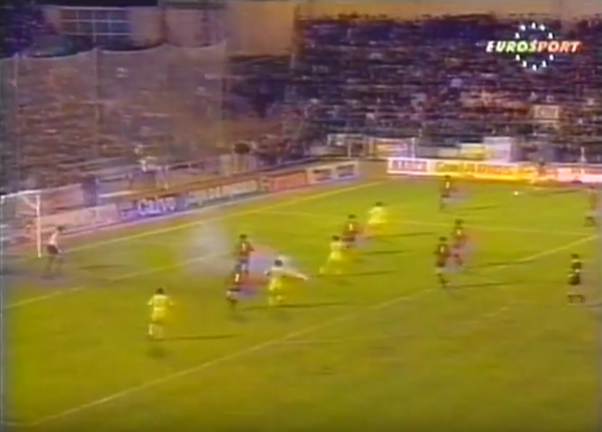 Despite this they were eliminated on aggregate, but the following year saw the greatest continental performance of any Romanian club up to that point with an advance to the quarter finals, before elimination at the hands of Bayern Munich. 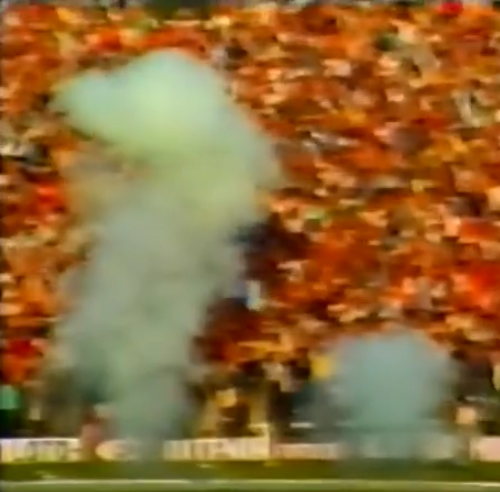 The Stadionul Central crowd for the visit of Inter, UEFA Cup 80/81, 1980. 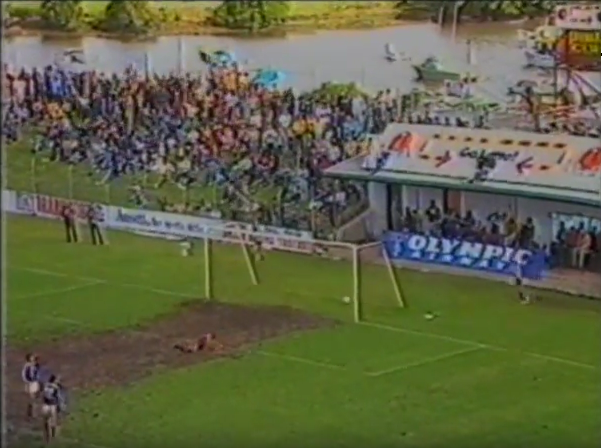 Note the fans perched above the tunnel. 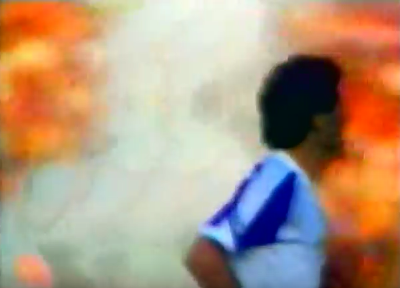 The distraction of these tournaments possibly helped contribute to 2nd place league finishes both of these years, but an 82/83 UEFA Cup run – only cut short by defeat to Benfica in the semi-finals – along with another Romanian cup win the same season, kept the Craiova Maxima’s momentum going. 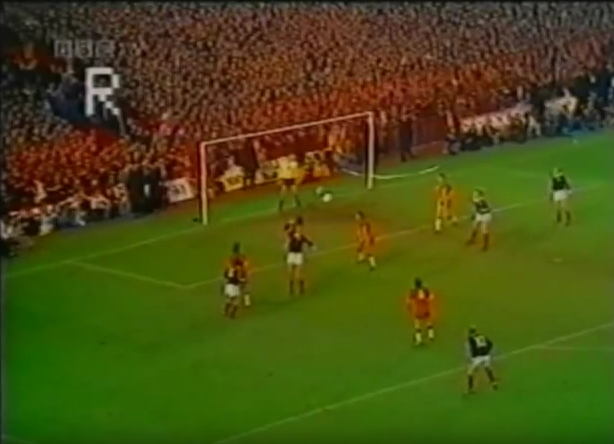 The period had seen victorious cup ties against significant opposition such as Dynamo Moscow, Monaco, Leeds United, Bordeaux, Kaiserslautern, and even Shamrock Rovers. 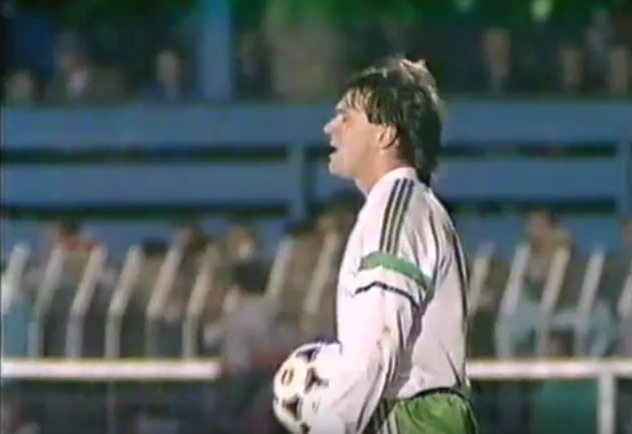 On the back of this growing pedigree, confidence was no doubt high in progressing one step further the following season and reaching the final as Craivoa were drawn in the 83/84 UEFA Cup first round against Yugoslavian league runners-up Hajduk Split. 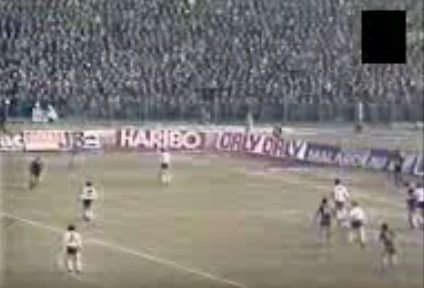 The all Balkan battle would not be the club’s first European tie against a club from the Slavic super-state as they had been knocked out of the 75/76 UEFA Cup by Red Star Belgrade. 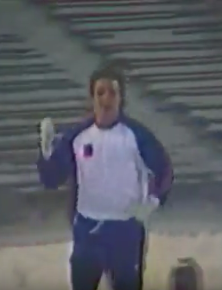 Somewhat interestingly, Craiova were not the only Romanian team with links to education in that year’s competition either, as FC Sportul Studențesc București – another club formed under the initiative of students and professors, established in 1916 – were taking part in one of six UEFA Cup campaigns for them in the era. 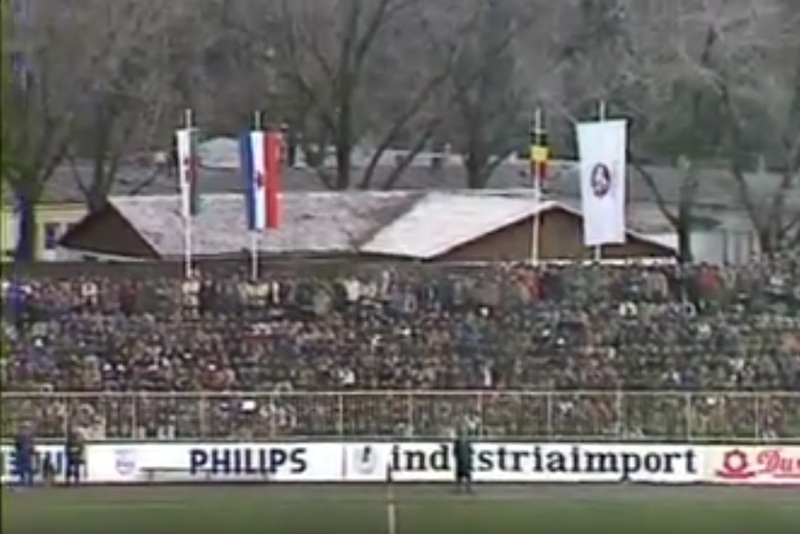 But for comparison in status between the clubs, Sportul’s current ground only holds 1000 spectators. 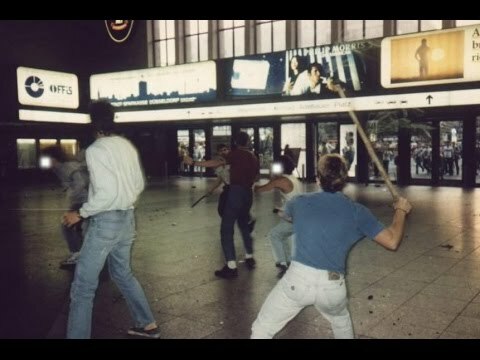 As for Hajduk, it goes without saying that the Croatian side boast one of Europe’s most enviable supporter culture histories, with their “Torcida“ group having formed way back in 1950; the first of it’s kind in Europe. 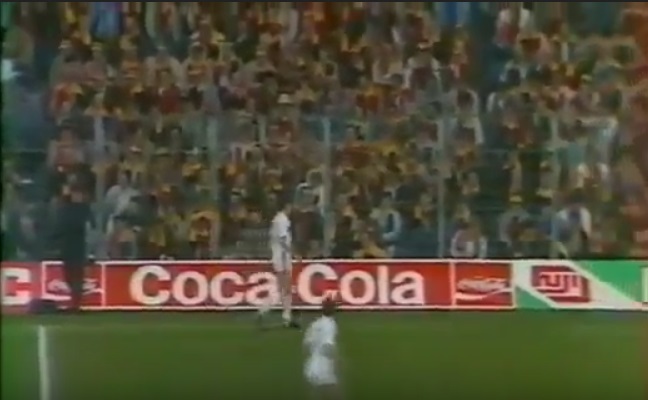 After some quarter final appearances, the club were of average European quality at the time with their most recent big tie a 3rd round defeat to Valencia in the 81/82 UEFA Cup, despite a 4-1 win in the home leg. 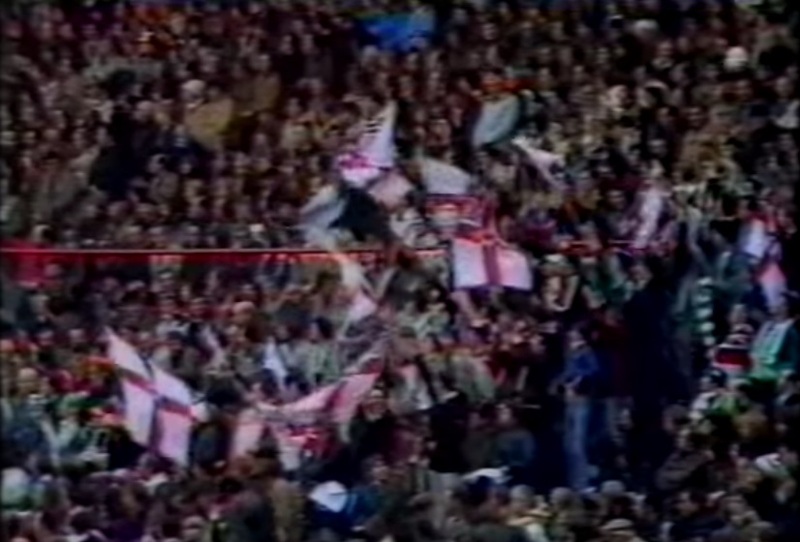 This was followed in 83/83 with victory against Zurrieq of Malta before elimination to Bordeaux. 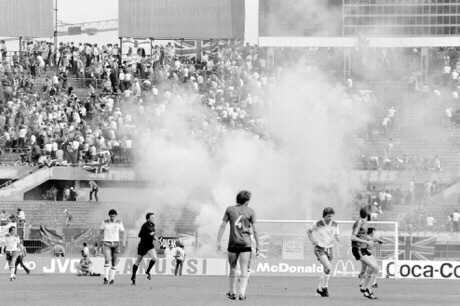 We join the action late in the game on that beautiful, sunny September 14th of 1983, along with 40,000 fans in the stadium. The figure shows the increase in popularity of the club since the Inter game, who in theory should have been a bigger draw than Hajduk. 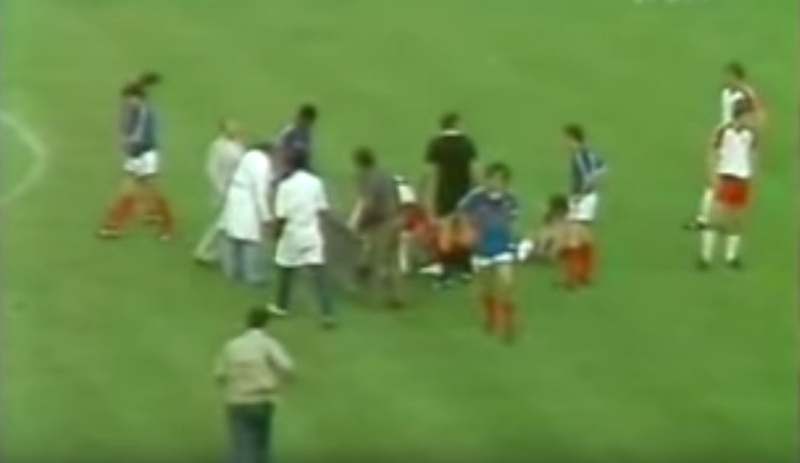 With the score at 0-0 in the 86th minute, midfielder Ion Geolgău breaks into to the box and strikes the ball in to the net for the hosts, queuing a pitch invasion from the ball boys. 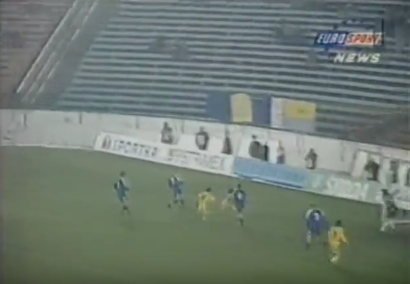 Through the resulting celebration we also get a nice look the Craiova kit, which had changed from Adidas the previous year (any ideas on the brand, get in touch!). It turns out is the player in question is the hero of the hour himself, Ion, who is now clearly lamenting his sporting achievement due to the fact it has caused this evidently distressing display of positive emotion which is preventing the sport itself from reaching it’s conclusion. You could call it the ultimate “Ion-y”. While we say goodbye to Craiova, who’s fans we can thank for the amazing images above, we will leave you with some more scenes from the second leg as a reminder of Hajduk’s own supporter heritage, as we are definitely not saying goodbye to them. 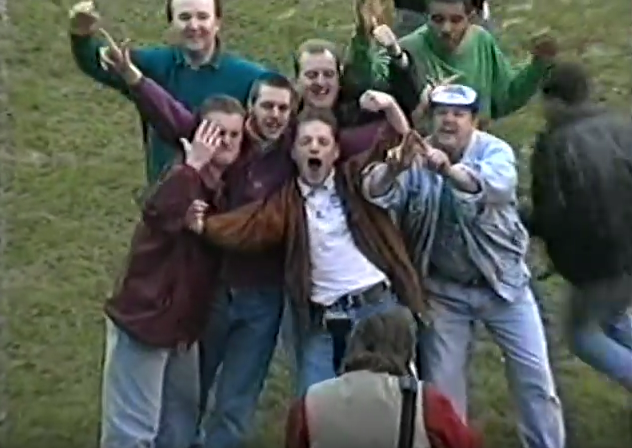 Look out for their return in the not too distant future, on another episode of Pyro On The Pitch. 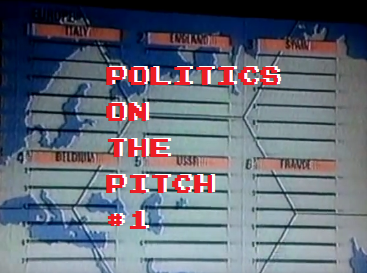 We had originally planned on only briefly discussing the topic for this very first edition of Politics On the Pitch (yes, another POTP acronym) as a prelude to an upcoming Champagne Kit Campaign (For the debut of Champagne Kit Campaigns, focusing on Norway in the same time period, click here). 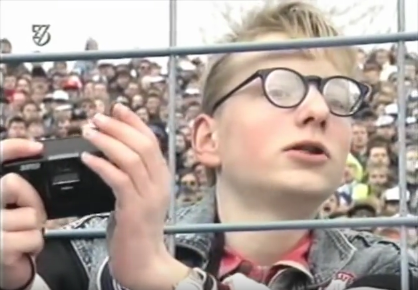 However, it quickly became apparent that an in depth look was needed as we felt more and more compelled to delve into the crux of where politics and football met leading up to the UEFA qualifiers for the 1994 World Cup (We have no idea if one can “delve into a crux” or not but we’re bloody well doing it). 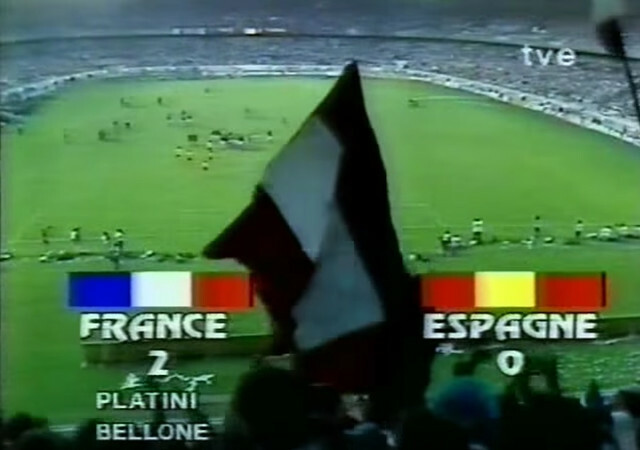 We look back on this campaign as THE all-time classic qualification phase in Europe, partly due to age and nationality, but the changing political face of the world at the time also created some unique situations and contributed to the general magic. 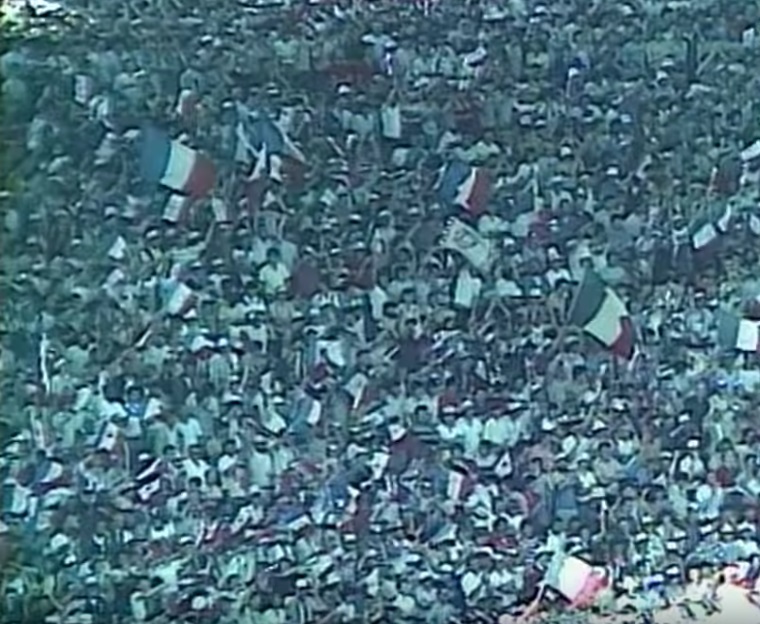 On December 8th, 1991, thirty seven national teams were entered into the UEFA section of the draw to decide groups for the upcoming World Cup ’94 qualifiers. Political turmoil in eastern Europe meant that three of these countries would either not compete in their current form or not take part at all: the Soviet Union, Czechoslovakia and Yugoslavia. But a further three in Estonia, Latvia and Lithuania were freshly reformed nations competing for the chance to play at the tournament for the first time in decades. 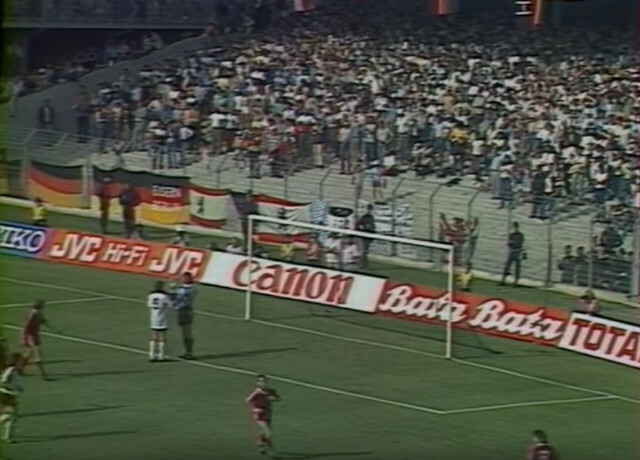 One side had already disappeared since the last World Cup as East Germany had been reunified with West on October 3rd, 1990. 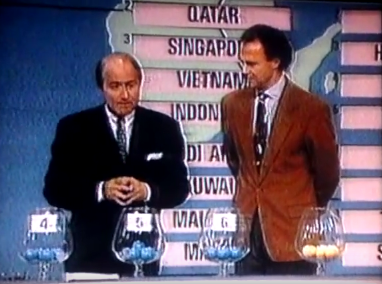 Sepp Blatter and Franz Beckenbauer at the FIFA World Cup draw in 1991 for UEFA. Some other former communist states such as Poland (1989), Bulgaria, Hungary and Romania (all 1990) had also already completed the transition to new “democratic”, capitalist regimes. 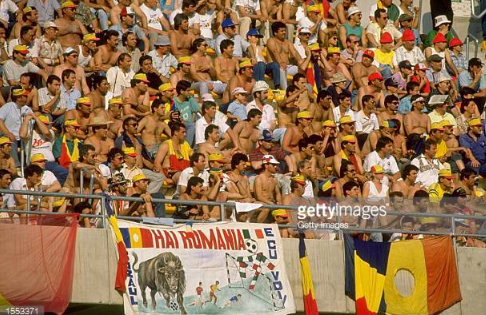 These changes were first evident at an international tournament when Romania competed at World Cup ’90 under a restored, pre-communist flag and played in shirts devoid of a badge, the previous one being synonymous with the recently booted government. 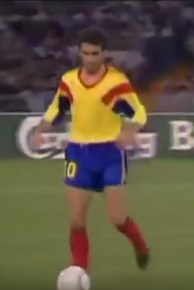 Romania kit at World Cup '90, sans a crest. 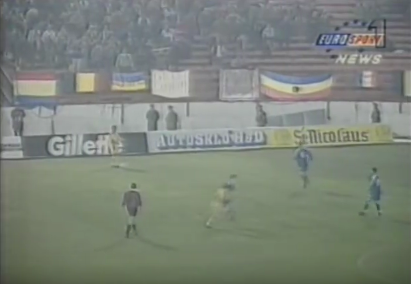 Romanian supporters also displayed the banner of the revolution against President Ceaușescu; a Romanian flag with the coat of arms of the old regime literally cut out of the middle. 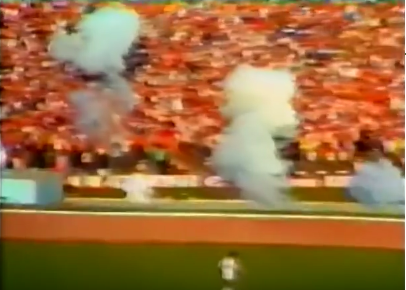 Eight years earlier at a World Cup ’82 in a match against the USSR, Polish fans had displayed banners of the anti-communist Solidarity movement showing a sign of what was coming down the line, until Spanish police forced their removal upon pressure from Soviet TV. 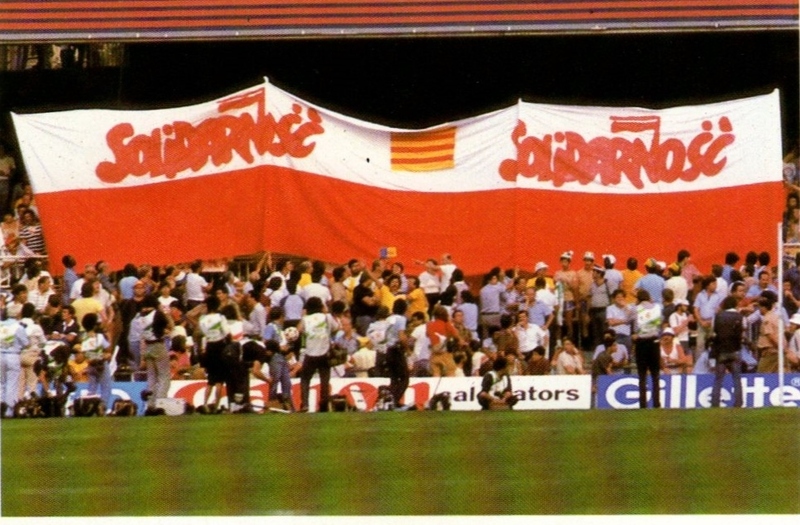 Polish banners of the Solidarity movement at World Cup '82. But the above were all nation states that had not been absorbed into into bigger unions. For countries within these unions, it would take a little more time to reemerge on to the international stage. Elections had taken place across the various republics of the USSR and Yugoslavia in 1990, but a complex sequence of events would still need to take place before independence could be achieved. 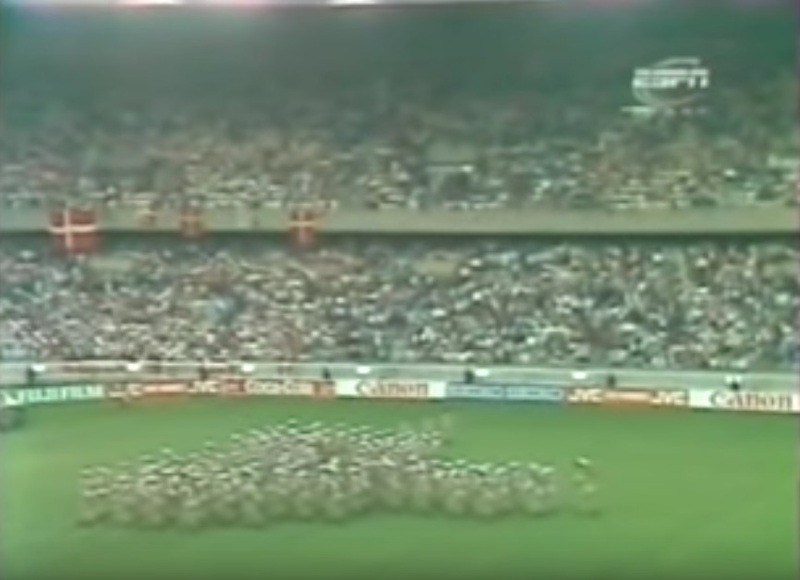 Eventually, after the chaos of the failed August 1991 coup, a weakened Soviet Union recognised the independence of the Baltic states on the 6th of September, in time for them to join UEFA and enter the draw for World Cup qualifying. On January 1st, 1992, the Soviet Union ceased to exist. 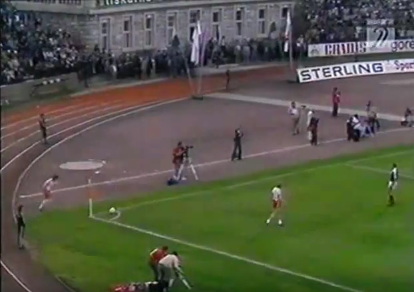 The other former Soviet countries were not as lucky as the Baltic nations and would not be entered into World Cup qualifying, but a more pressing matter was the fact that the failed state had already qualified for the upcoming European Championships in Sweden. 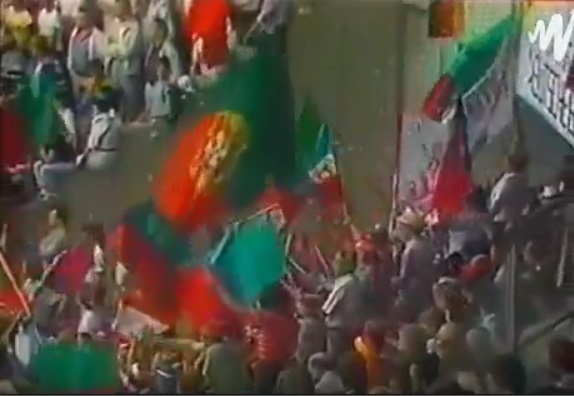 The Commonwealth of Independent States (CIS) had formed in December ’91 by the soon to be former Soviet republics as a loose international confederation, but on January 11th, 1992, a football association of the CIS was also formed and swiftly accepted into UEFA to replace the USSR at the European Championships. 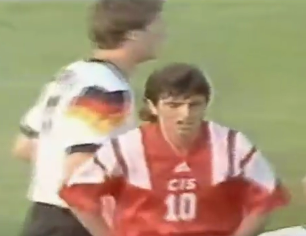 CIS shirt at Euro '92. The CIS team represented the following 12 countries: Armenia, Azerbaijan, Belarus, Georgia (despite not entering the actual CIS until 1995), Kazakhstan, Kyrgyzstan, Moldova, Russia, Tajikistan, Turkmenistan, Ukraine and Uzbekistan. 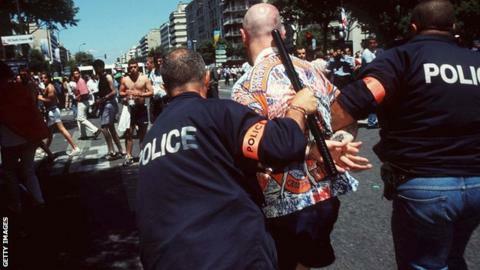 But at the Euros the team contained mostly Russians and Ukrainians, with one Georgian and one Belorussian. 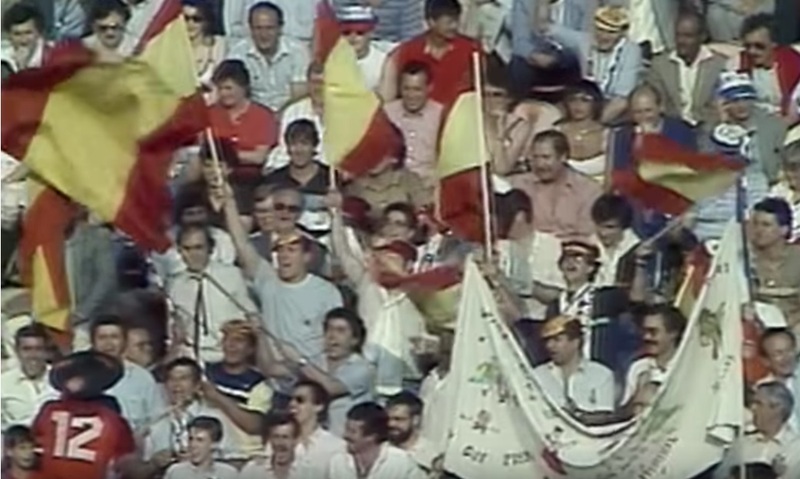 CIS supporters celebrate a goal against Germany at Euro '92. The white flag with the red star, hammer and sickle, and blue bar at the bottom, is the former Soviet naval ensign. Meanwhile, the situation in Yugoslavia had deteriorated into war. 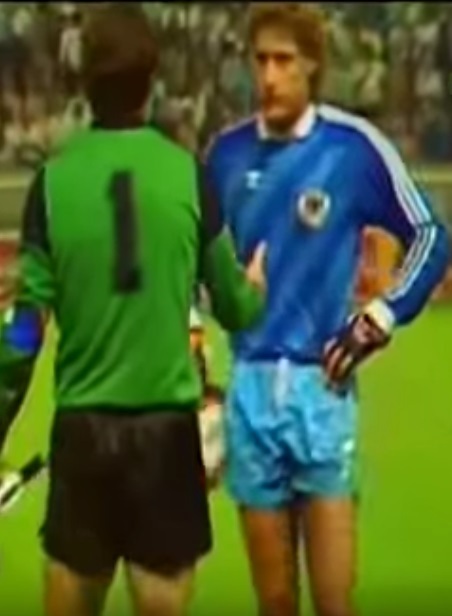 The Balkan state had been out been outside the Warsaw Pact and had been led by what may be as close to a benevolent dictator the 20th century had seen in Tito, and throughout the Cold War some eastern European players had used away games in Yugoslavia as a chance to defect to the west. 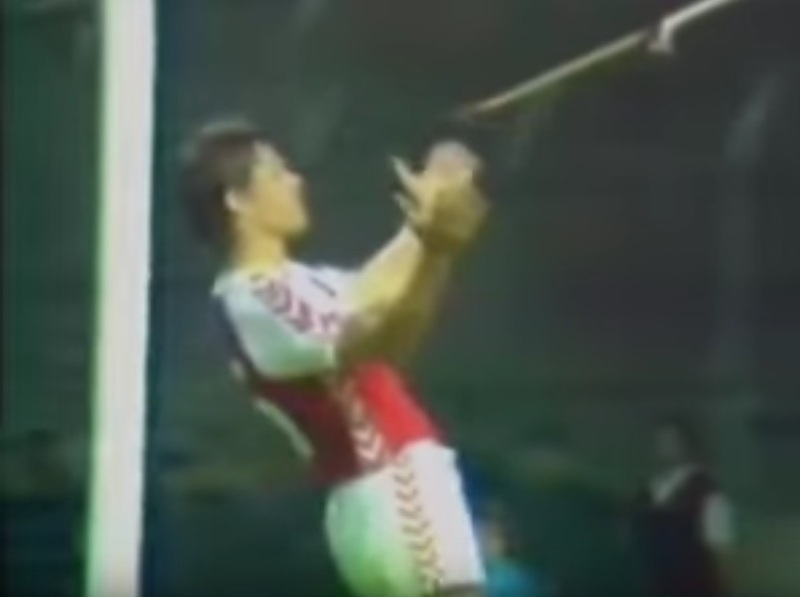 Despite this, it’s exit from the communist era was the bloodiest of all and the ramifications of this rippled through to the sporting world. 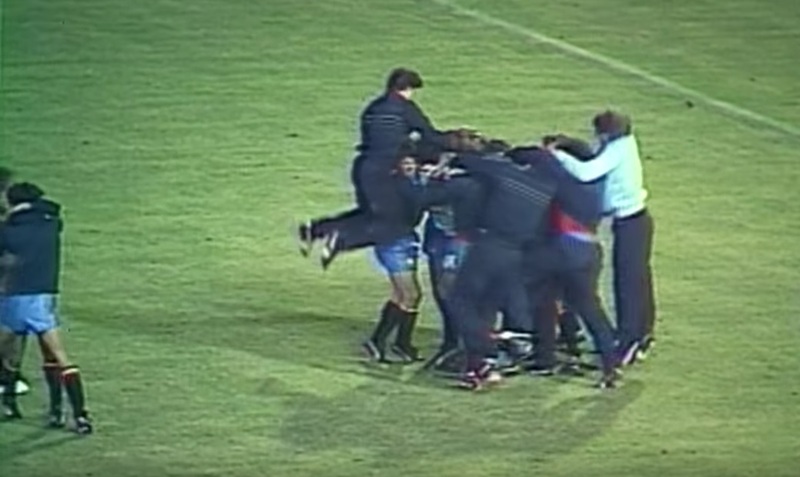 Like the USSR, Yugoslavia had qualified for Euro ’92 in the midst of it’s socialist state dissolving. As Croatia, Slovenia and FYR Macadonia broke away, the remaining territory became the Federal Republic of Yugoslavia, later known as Serbia and Montenegro. 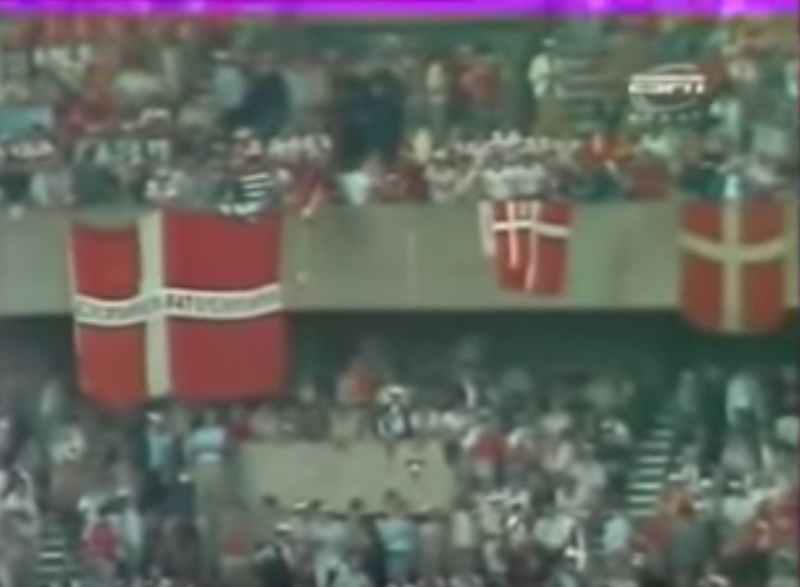 Their football team was set to take the place of the original Yugoslavia at the Euros but just ten days before the tournament, on May 31st, 1992, the team was banned from competing and replaced with eventual winners Denmark. This was in accordance with the UN Security Council’s Resolution 757 which placed sanctions on the country as the war in Bosnia-Herzegovina went on. 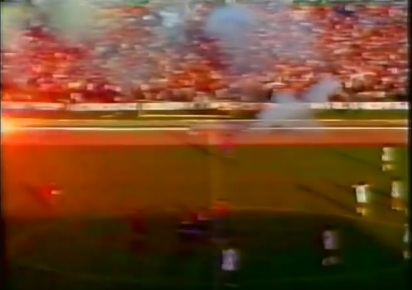 The ban lasted until 1996, meaning Yugoslavia were also out of World Cup qualifying. 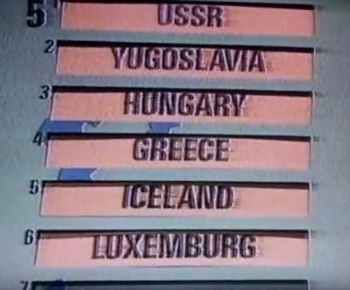 They had originally been Pool 2 seeds and drawn in Group 5, fittingly along with top seeds the Soviet Union. 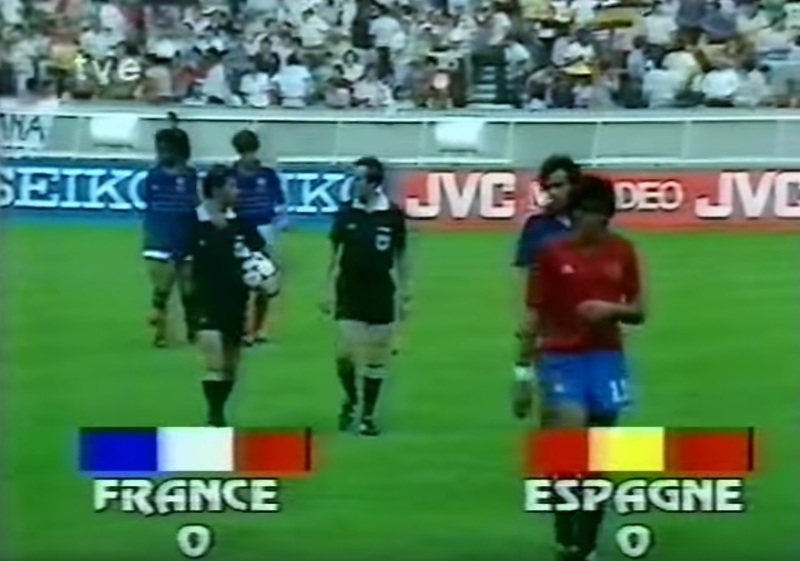 The original World Cup Qualifying Group 5, featuring the USSR and Yugoslavia. 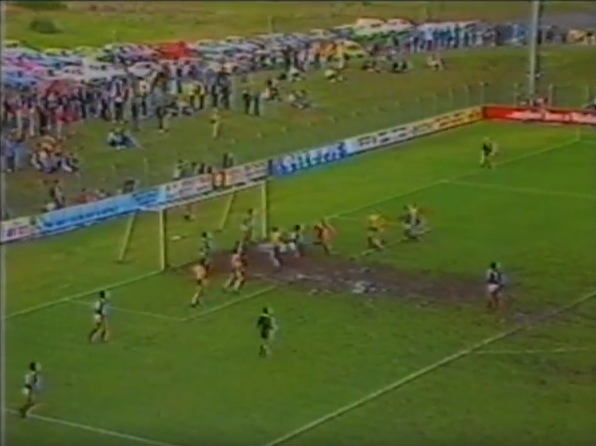 The CIS concluded it’s brief existence in international football losing to Scotland at the Euros on June 18th, 1992. Ukraine had proposed a new tournament for the teams who had made up the CIS so they would have something to compete for in lieu of the World Cup. This was supported by Armenia and Georgia, but blocked by Russia. 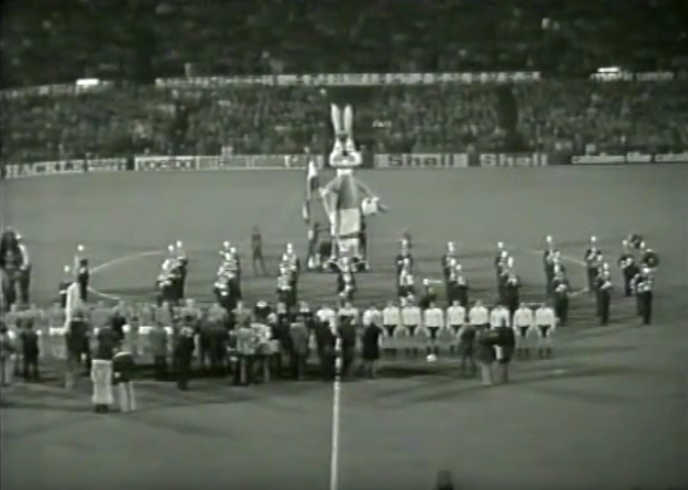 In August, Russia was officially recognised by FIFA as the USSR/CIS successor state and take it’s place in qualifying Group 5 along with Greece, Iceland, Hungary and Luxembourg, but without the stricken Yugoslavia. 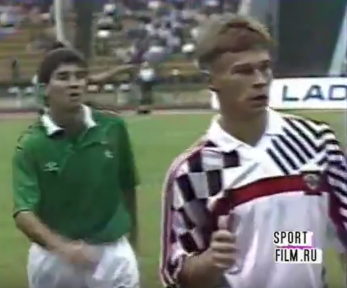 Most interesting to note was that in Russia’s first international since 1914, a friendly against Mexico in August ’92, they would in fact continue to wear what was previously the white away shirt of the USSR, now apparently repurposed as a home shirt. 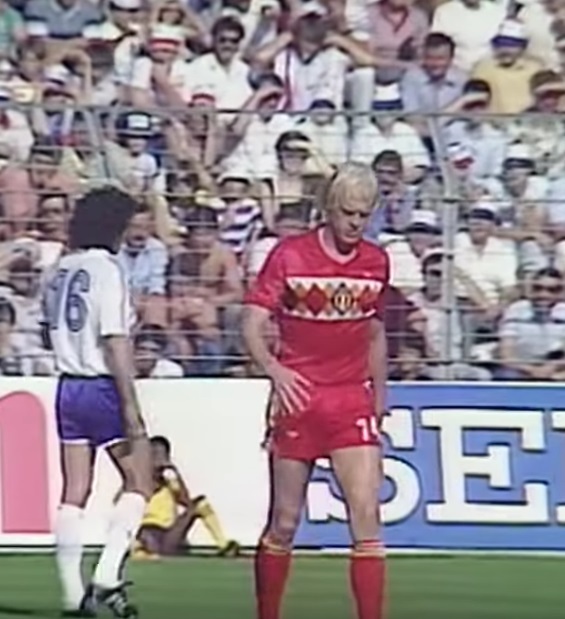 The only difference in the kit was that the Adidas trefoil-era shorts of the Soviets (white with red trim) were replaced with shorts of the new Adidas Equipment line (plain white but for a black brand logo). 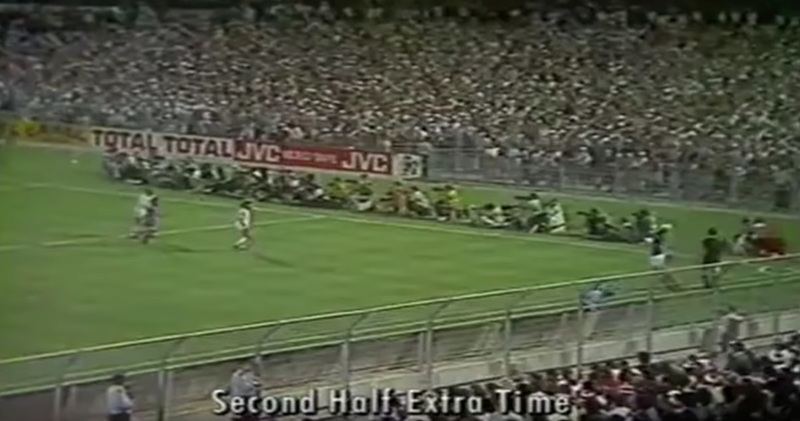 Left: USSR vs Italy, October '91. 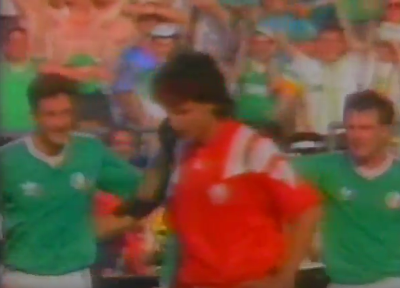 Right: Russia vs Mexico, August '92. 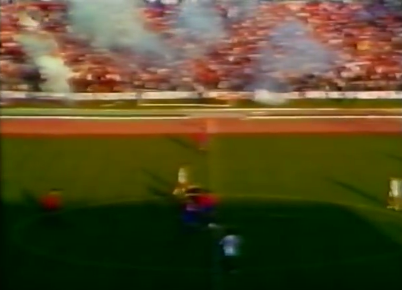 Russia playing in Soviet shirts vs Mexico, August '92. 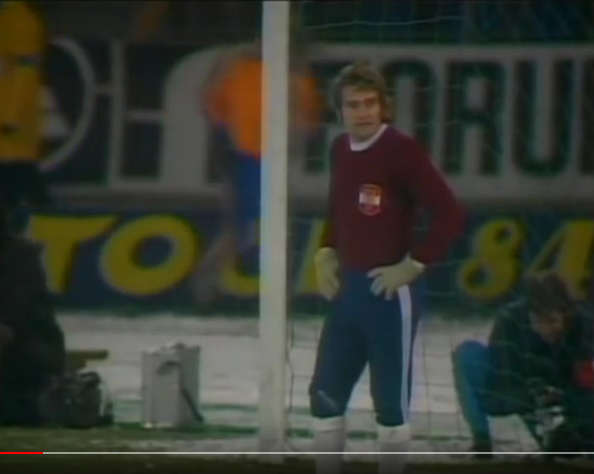 The shirt would again be worn when Russia made their World Cup qualifying debut at home to Iceland in October but with blue shorts and red socks, amazingly meaning that the Soviet shirt was now part of an overall Russian flag. 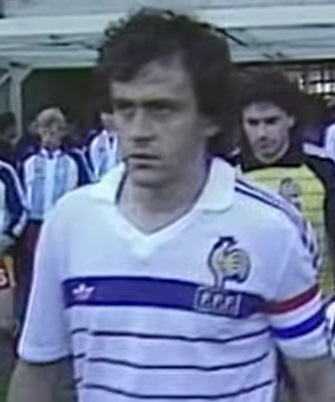 By the following game at home to Luxembourg, Russia finally wore their own shirts, albeit very bare. 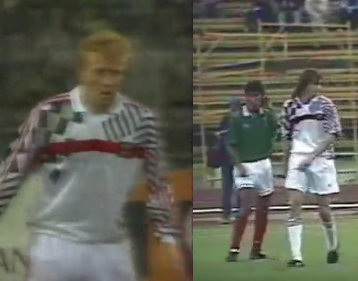 Russian kit vs Iceland, October '92. 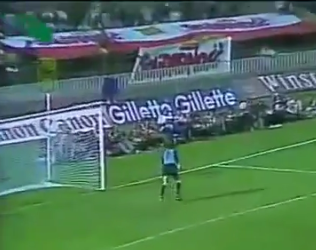 Although plain, Russia finally gets it's own shirt against Luxembourg, October '92. 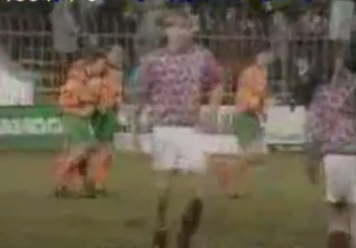 This unusual kit sequence clearly needs it’s own article, which will happen in due course. 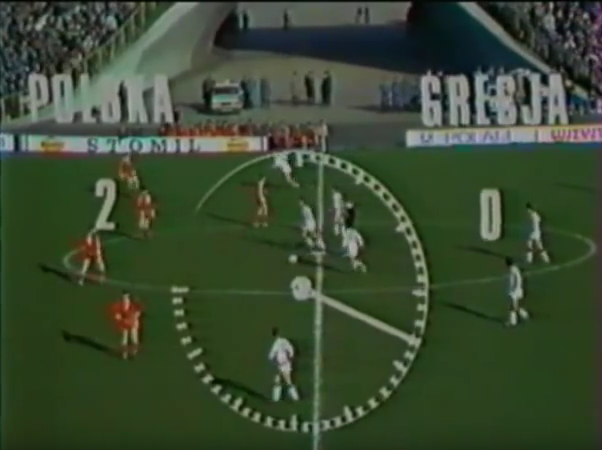 But back to the actual group and the absence of Yugoslavia, along with Russia’s smaller talent pool than it’s predecessor, meant that it was far weaker than when originally drawn. 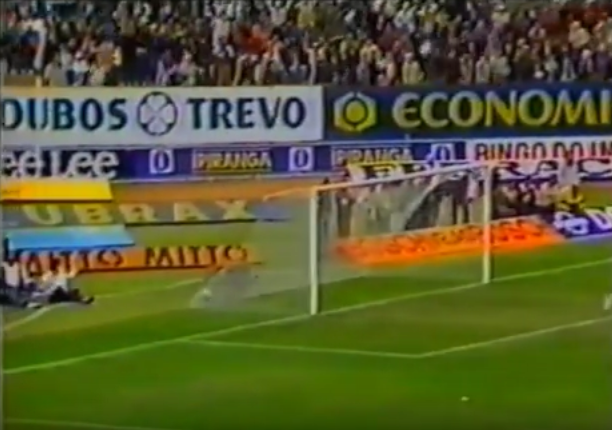 This paved the way for Greece to top the group and qualify for it’s first World Cup, with Russia joining them in second. 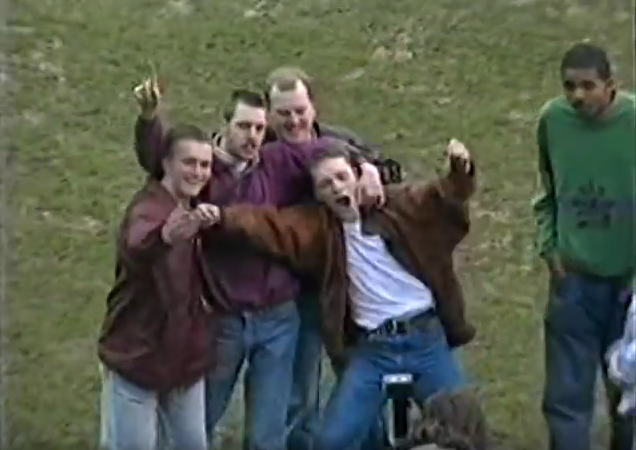 While their fellow former Soviet republics were denied the right to play competitively until Euro 96 qualifiers in 1994, the Baltic states were all happily placed as bottom seeds in Pool 6 of the draw. 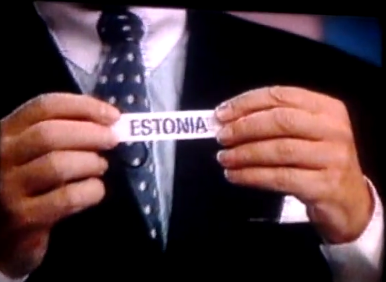 Sepp Blatter draws Estonia as the first country out of the hat after the top seeds had been assigned their groups. After original independence from the collapsed Russian Empire in 1917, Estonia had first competed as a national team in 1920, with Latvia following suit in 1922 and Lithuania the following year. 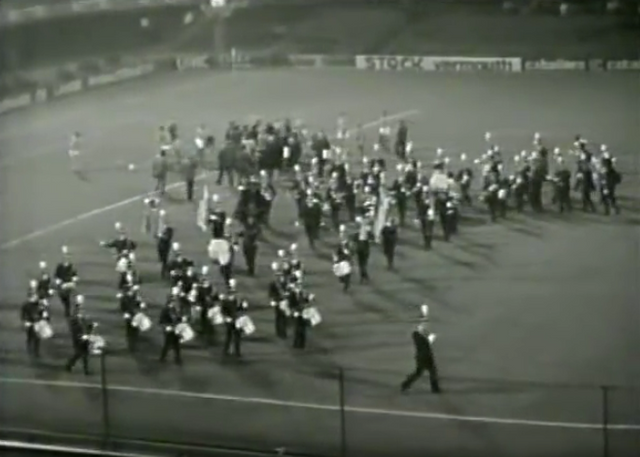 Estonia and Lithuania had taken part in qualifying for the 1934 and 1938 World Cups, with Latvia also competing in the latter, so it would not technically be new ground for any of the three. 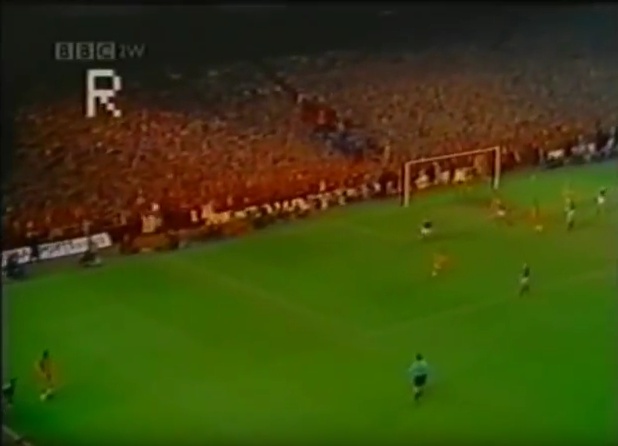 However, as all were annexed by the USSR in 1940 and as UEFA did not form until 1954, the 1994 campaign would be their first as UEFA affiliated countries. Estonia were drawn in a tough Group 1 along with Italy, Switzerland, Portugal, Scotland and Malta. 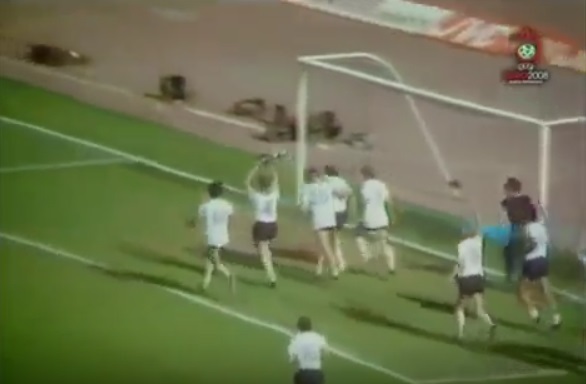 Unsurprisingly, they only managed one point from a 0-0 draw away to Malta and only scored one goal in the entire campaign during a 3-1 defeat to Scotland. 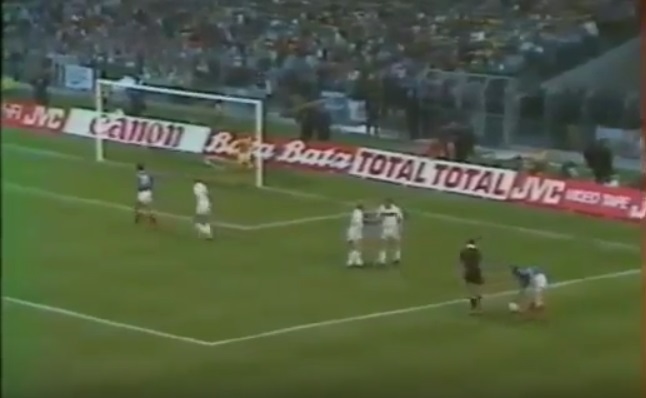 Estonia score their lone goal of the campaign away to Scotland. Latvia and Lithuania had been drawn against each other in a group of two back when they last competed in 1937. Since both were bottom seeds, it should have been impossible for the neighbours to clash this time. However, due to the uneven amount of teams in the draw, fate would have it that after the long wait to rejoin international competition they would again be drawn together in Group 3, along with an eastern country that we have not mentioned yet in Albania. 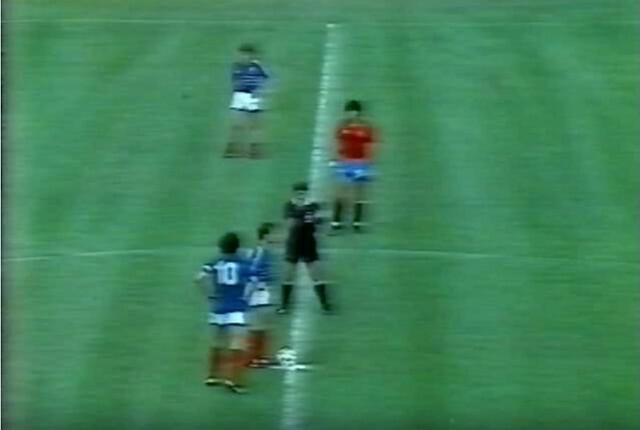 Spain, Ireland, Denmark and Northern Ireland made up the rest of the group, creating the unusual situation where this group had seven teams, while due to Yugoslavia’s suspension Group 5 only contained five (the other 4 groups had six each). Albania, Latvia and Lithuania drawn together in Group 3. Albania had originally been a Warsaw Pact member but broke away in 1960 and remained a deeply secretive and less well known state. 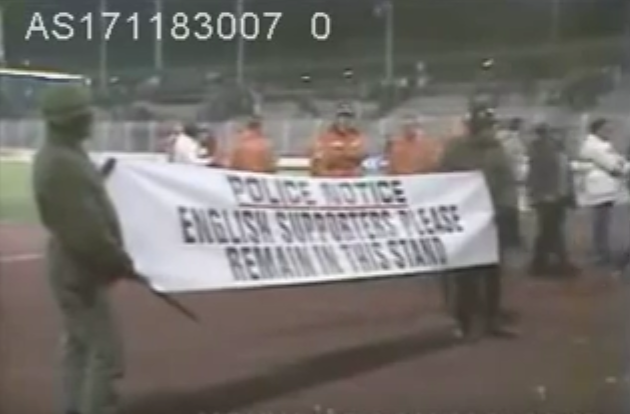 Despite this, it had been a founder member of UEFA in 1954 and competed in Euro and World Cup qualification in the ’60s. 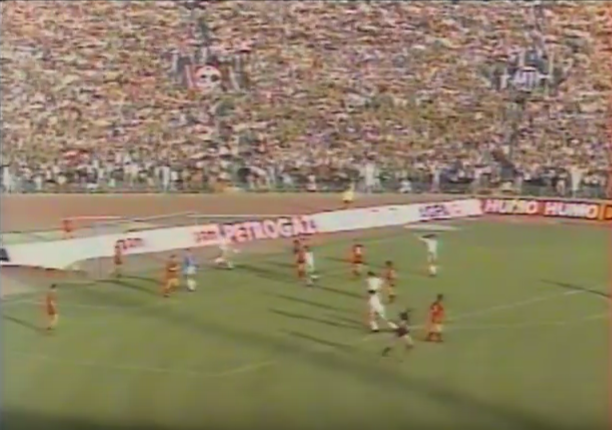 But then, due to internal political reasons, the country would not compete at all in ’68 and ’69, and again from ’74 until ’80 (apart from three Balkan Cup games against Yugoslavia in ’76 and ’77, and one friendly against Algeria in ’77). 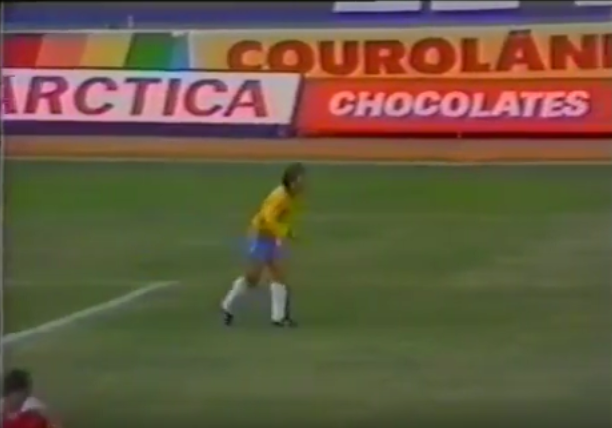 They would return for the World Cup ’82 qualifying campaign and remain in competition ever since. 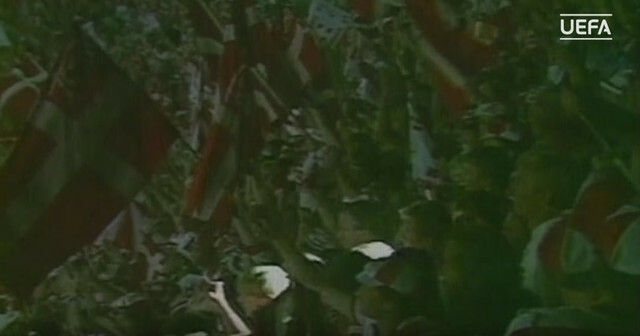 Like the rest of the region, Albania held democratic elections by 1991, but the transition from communism was difficult and the country remained poor. 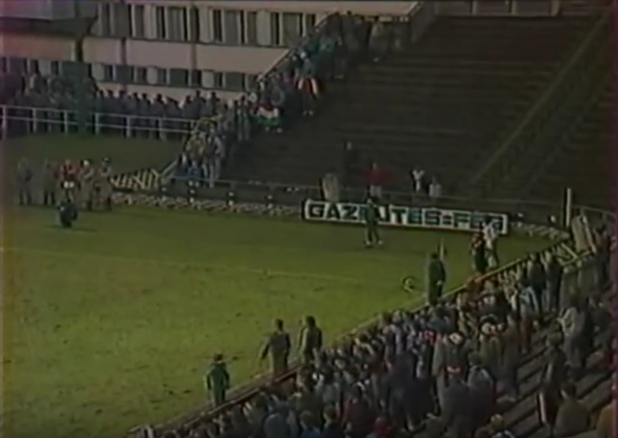 The turmoil was evident when they visited Dublin to play Ireland in May 1992 without a kit (a shame as they had worn some beautiful kits in the 80’s and very early 90’s). For more information on this episode, and Lithuania ending up in a similar situation away to Ireland the following year, check out this Museum of Jerseys piece. 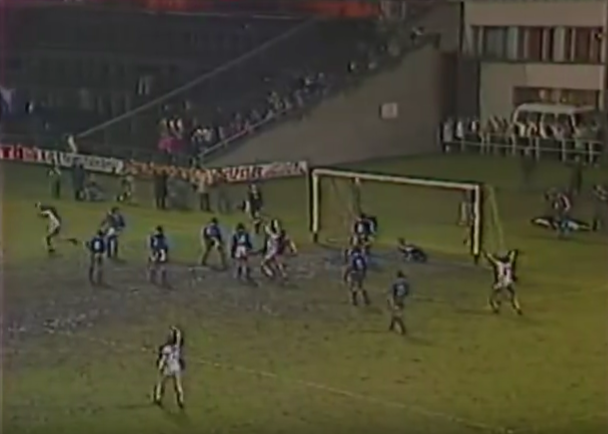 Albania in a hasitly prepared kit away to Ireland, May '92. Lithuania, Latvia and Albania would unsurprisingly finish 5th, 6th and 7th in the group, mostly taking points off each other. 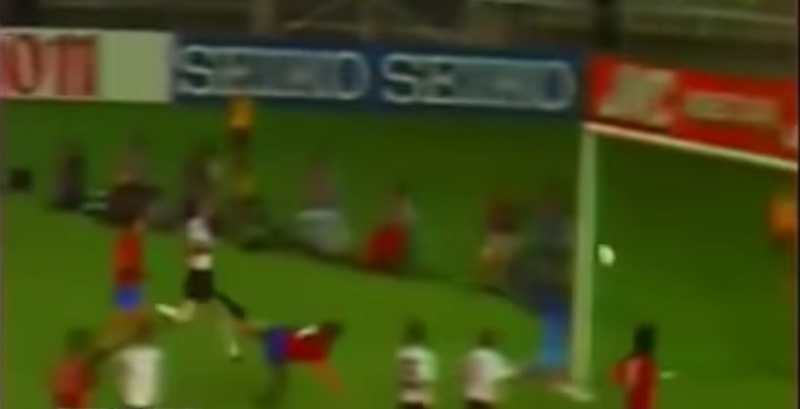 But delightfully, Latvia did manage respectable 0-0 draws at home to both Denmark and Spain. 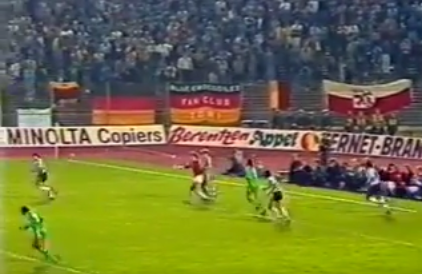 Latvia holding Spain to a 0-0, September '92. 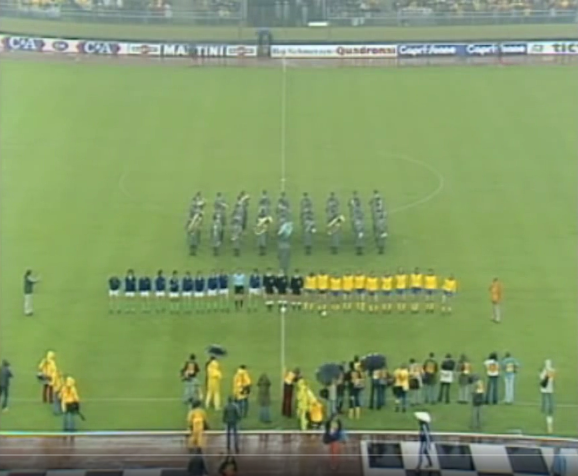 Lithuania 1-1 Latvia, October '92. The last of the former communist states to cover is Czechoslovakia. 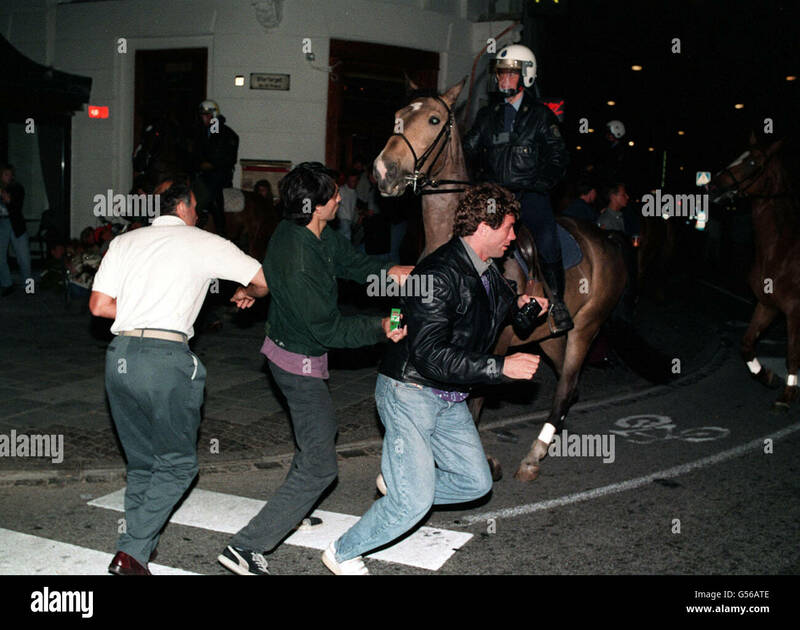 Over the course of ’89-’90, the communist government collapsed and the country formally transformed on April 23rd, 1990, from the Czechoslovak Socialist Republic to the Czech and Slovak Federalist Republic. 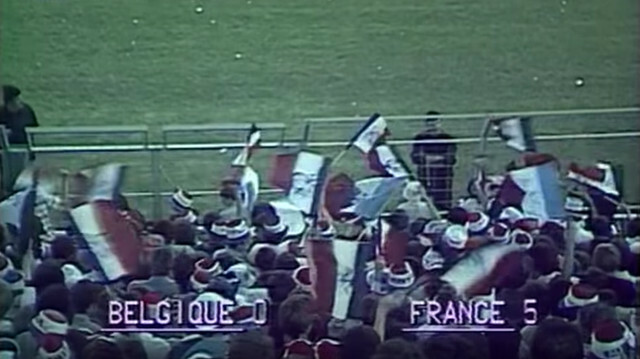 This was seen in effect at the World Cup draw the following year as “CSFR” was used to represent the country on the group board. 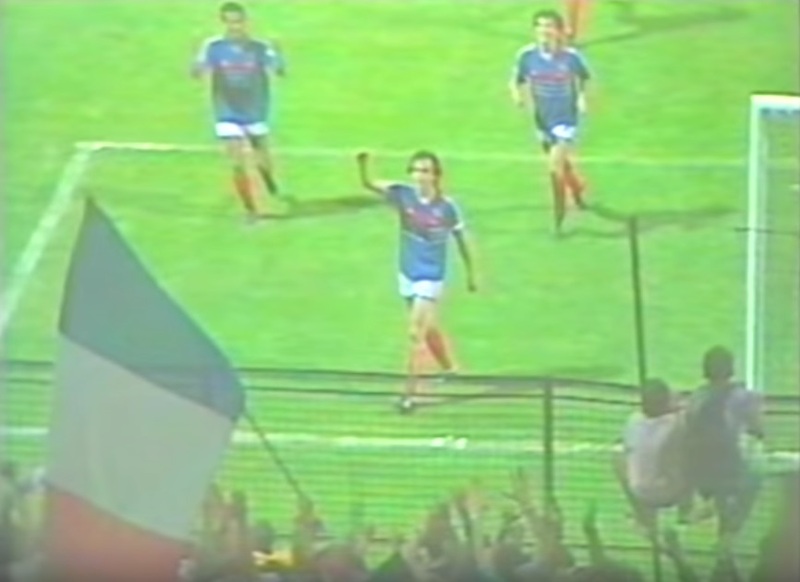 Democratic Czechoslovakia of '89-'92, aka CSFR, seconds seeds in Group 4. 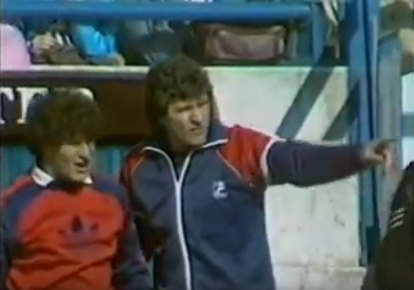 They were drawn in Group 4 along with Belgium, Romania, Wales, Cyprus and the debuting Faroe Islands (San Marino in Group 2 and Isreal in Group 6 were the other new sides added to UEFA’s system) and would compete as Czechoslovkia for the first three matches. But as 1992 progressed, Slovakian calls for greater autonomy resulted in the break up of the federation, and on January 1st, 1993, the Czech Republic and Slovkia both came into existence as independent states. Like the the USSR becoming the CIS in ’92, the team completed the group as a new entity, the Representation of Czechs and Slovaks (RCS). Unlike with the CIS though, this was purely a sporting union and not representative of an actual political body. 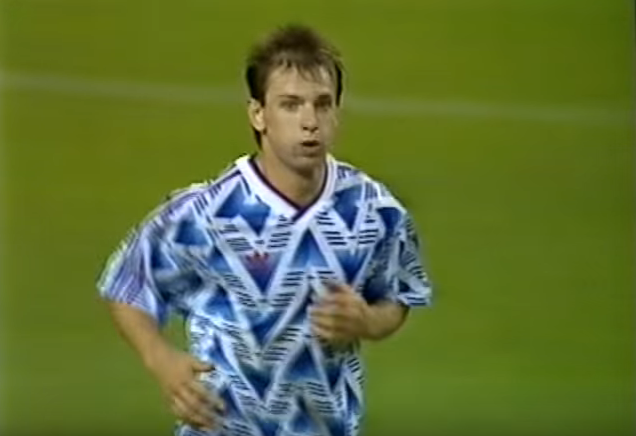 Most notable was the team’s away shirt which saw use away to Wales in September ’93, a template also infamously used for Arsenal’s ’91-’93 away shirt. RCS away shirt away to Wales, September '93. A win on the last day of the group away to Belgium would have meant qualification through 2nd place, and presumably the continued existence of RCS until at least the following summer after the World Cup. 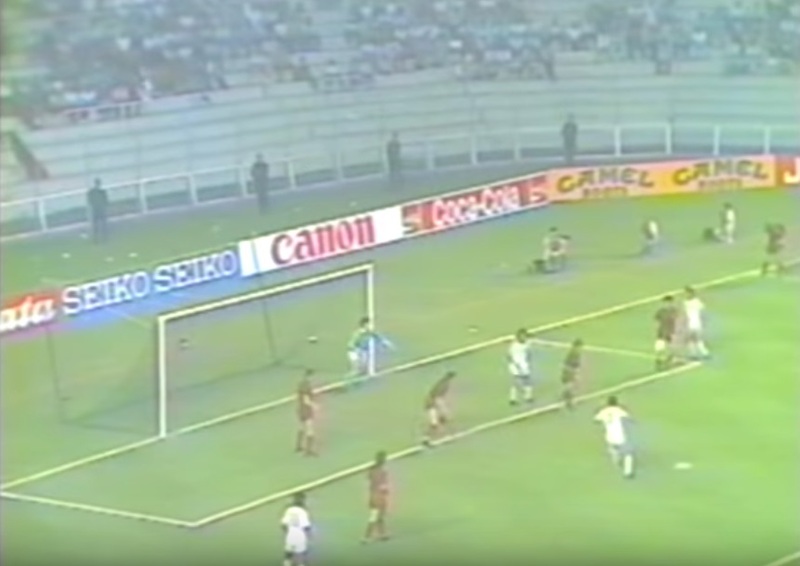 However, the game ended 0-0 and Belgium took 2nd instead with RCS finishing 3rd. 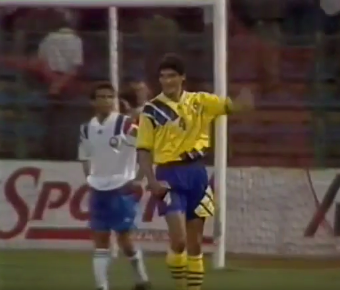 Slovakia had previously competed while a Nazi puppet state in the World War 2 era and fielded unofficial teams again from 1992, but they would officially reemerge in February ’94 away to the UAE. 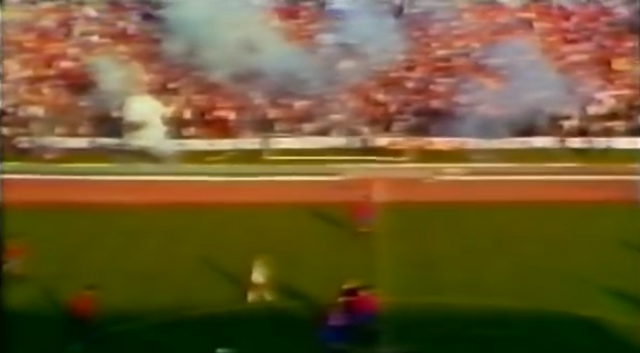 The Czech Republic would go on to be official successor of the Czechoslovakian and RCS teams and play their first match, away to Turkey, three weeks after their new neighbours, in a way putting an end to the era we have disucssed. 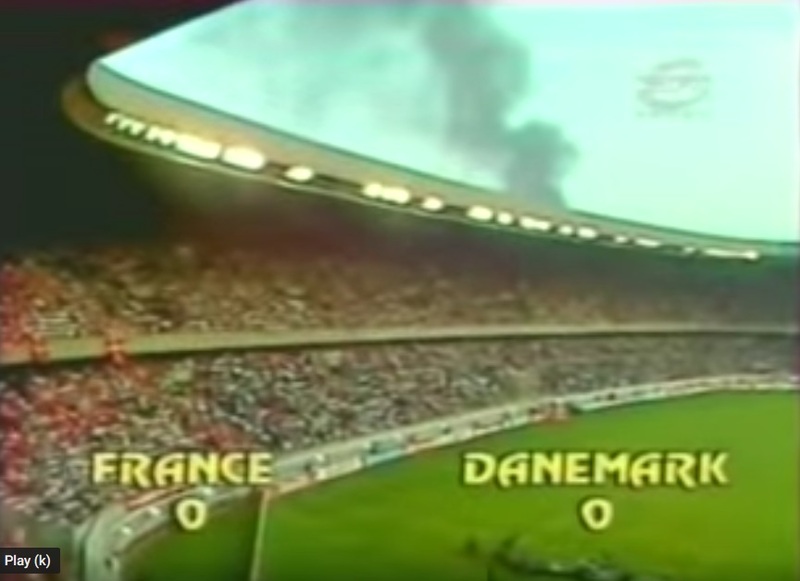 Only 2 of the 6 groups for the World Cup ’94 qualifiers did not contain the results of states breaking up or gaining independence since the 80’s. 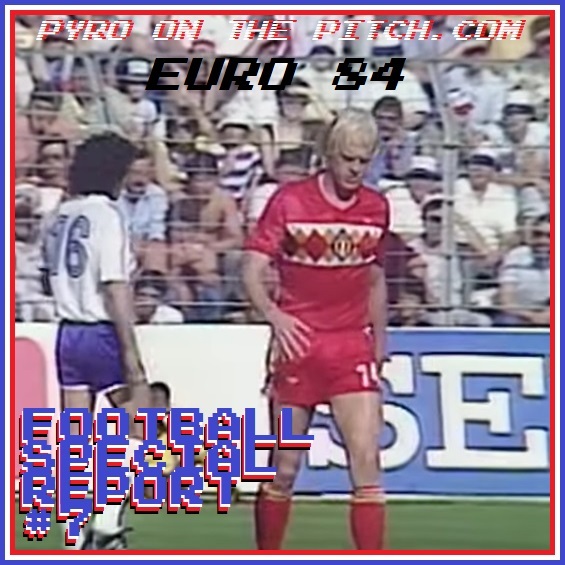 This continued fragmentation meant that the draw for Euro ’96 qualifying would rise to 47 countries with the addition of the other post-Soviet European countries and former Yugoslav states. This would increase even more into the future as the Balkans further divided, and the likes of Kazakhstan eventually joined. As Europe and the world in general continue to evolve rapidly, who knows how differently qualification groups of the future may look compared with today, as the addition or removal of even more states is as inevitable as it always has been. That is, of course, should the concept of modern states continue to even exist.